This is a sponsored post written by me on behalf of Breyers for IZEA. All opinions are 100% mine. I was recently challenged to recreate one of Chef Antonia Lofaso’s family friendly dessert recipes using Breyers Natural Vanilla Ice Cream. 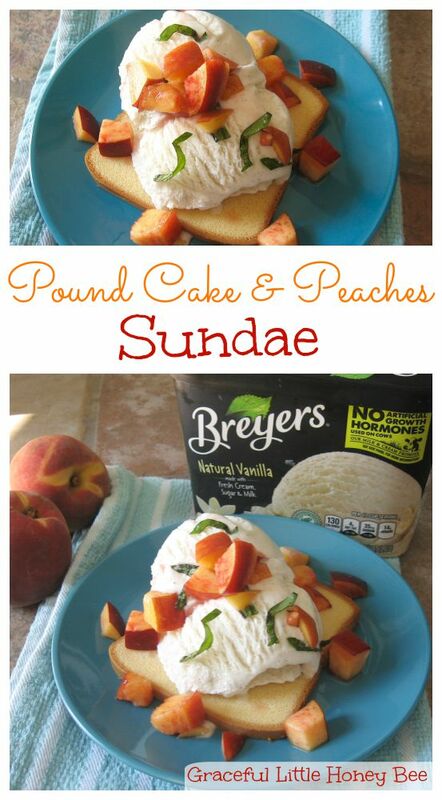 I chose the pound cake and peaches sundaes because my husband is a huge fan of basically everything in the recipe. The only thing I was a little hesitant about was the basil since I’d never had it in a dessert, but it turned out amazing! I love creating my own recipes, but it’s also fun to recreate someone else’s every once in a while because it introduces me to new and interesting flavor combinations that I may never have put together on my own. I was also excited to try Breyers in this recipe because they now source milk and cream from cows not treated with artificial growth hormones*. 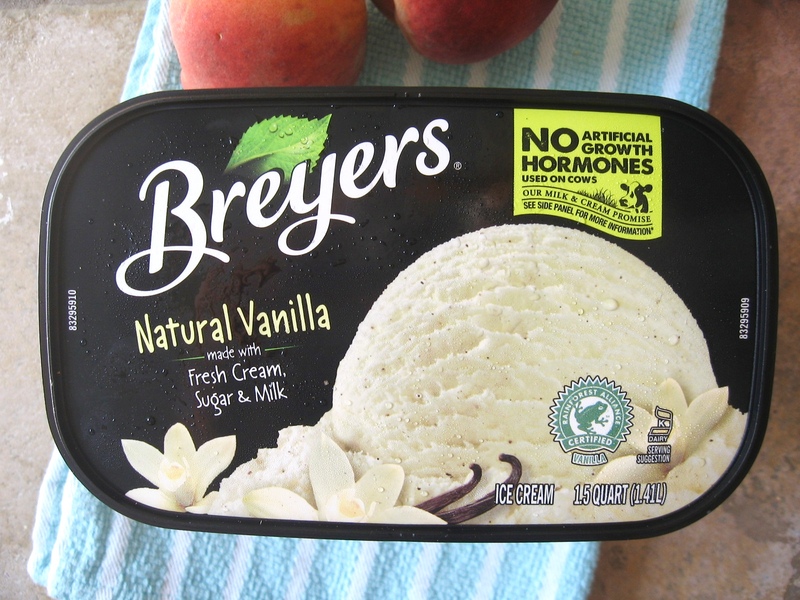 Also, all Breyers vanilla is real and made from sustainably farmed, Rainforest Alliance Certified™ vanilla beans. How cool is that? Breyer’s Natural Vanilla is America’s No. 1 vanilla ice cream, and parents now have additional reasons to feel good about serving it to their family. Breyer’s Natural Vanilla is made with fresh cream, sugar and milk and sustainably farmed vanilla beans. Breyers products are available in grocery stores nationwide for a suggested retail price of $3.99-$5.99. Step 1: Mix peaches, lemon juice, sugar and basil in a small bowl. 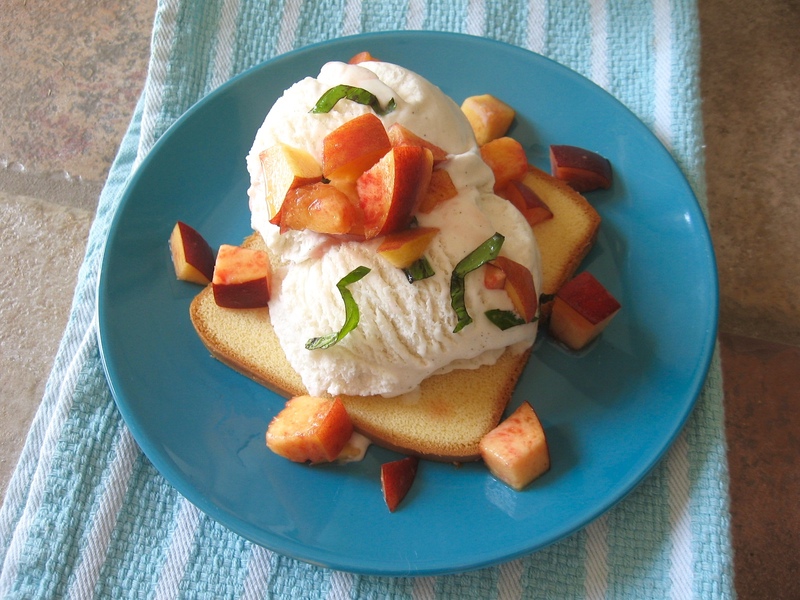 Step 2: To make each sundae, place a slice of toasted pound cake on a plate, then top with 1/4 cup scoop of Breyers Natural Vanilla Ice Cream and cover generously with macerated peaches. 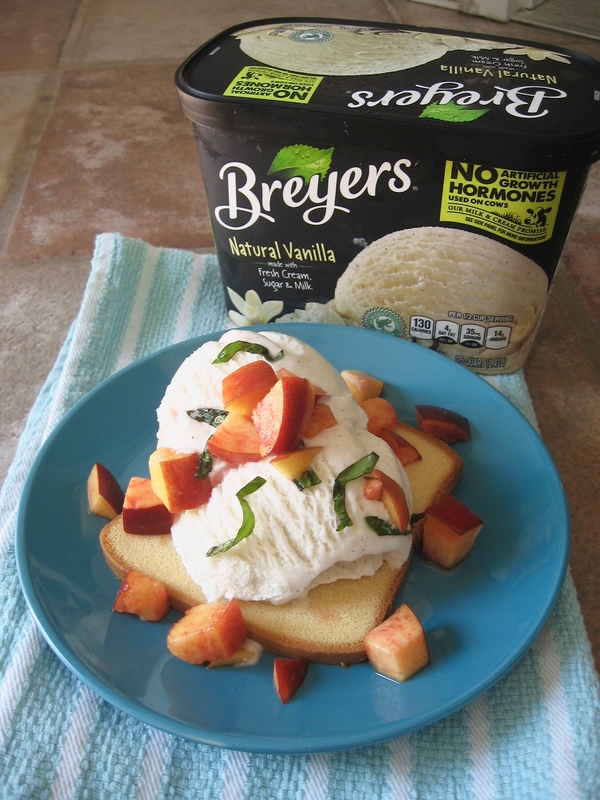 To make each sundae, place a slice of toasted pound cake on a plate, then top with 1/4 cup scoop of Breyers Natural Vanilla Ice Cream and cover generously with macerated peaches. I hope you try this recipe because it seriously was so good! I absolutely loved the whole flavor combination. Don’t forget to check out Breyers on Twitter, Breyers on Pinterest and Breyers on Facebook for more recipe ideas.